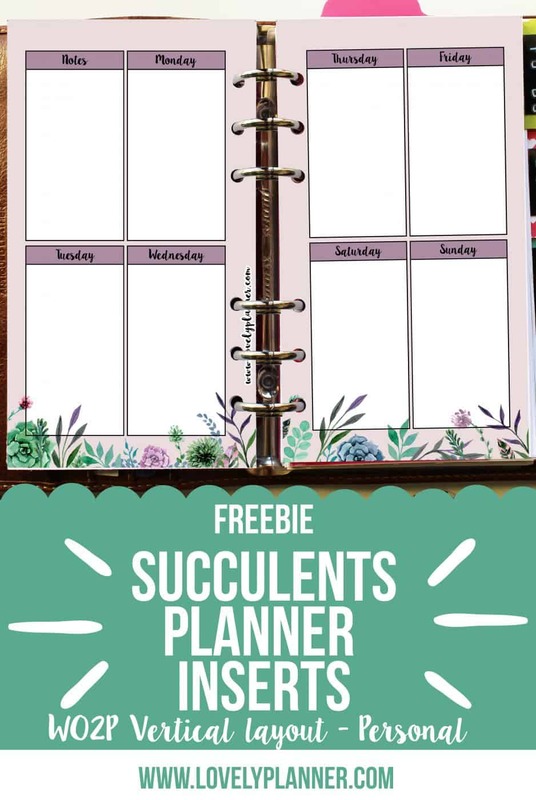 I hope you will like these succulents printable planner inserts I’m sharing with you today. 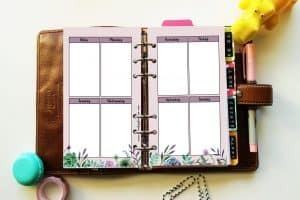 will make it easier to add things more easily in your planner! 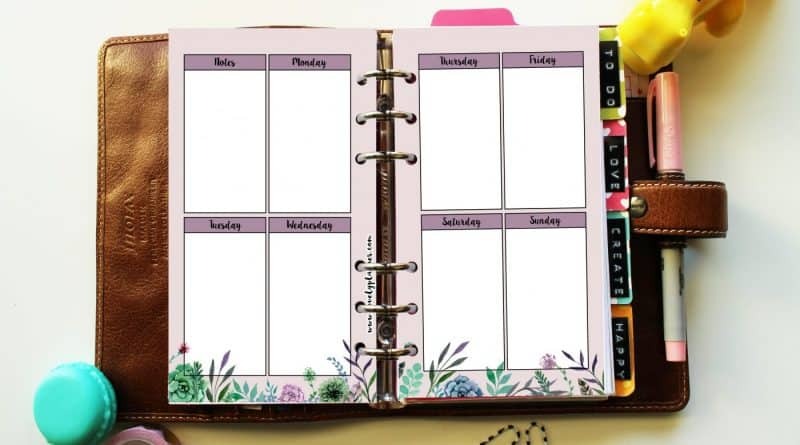 Summer is officially about to end so I wanted to create planner inserts with calmer and more neutral colors. I like the softness of it and I hope you will too. If you like this week on two pages layout, make sure to check my Etsy store as you can find other planner printables designs, with this same WO2P layout and different ones too. ★ Two versions are included : with days written (as shown in the picture) and blank so that you can customize your planner even more! , Kikki K Medium and more. In case you wonder, my planner on the picture is a Personal Filofax Malden in ochre. ★The layout is a week on two pages : which lets you have an instant look on the week ahead but stills leaves space to decorate if you want! ★ Soft and classy design: succulents and watercolors, really, need I say more? 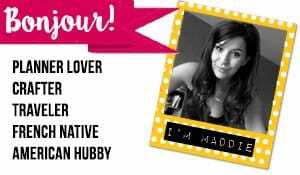 ★ This freebie is made for personal use only. It can’t be sold. Feel free to share the link to this article but please refrain from sharing the file directly. Thank you! Disclosure: In order to support this website’s costs and keep sharing cool content and freebies with you, this post may contains affiliate links. I’ll receive a small referral commission if you order through one of this links. Thank you, in advance for your support!